Note: I have created a PCB vesrion of this using OSH Park. 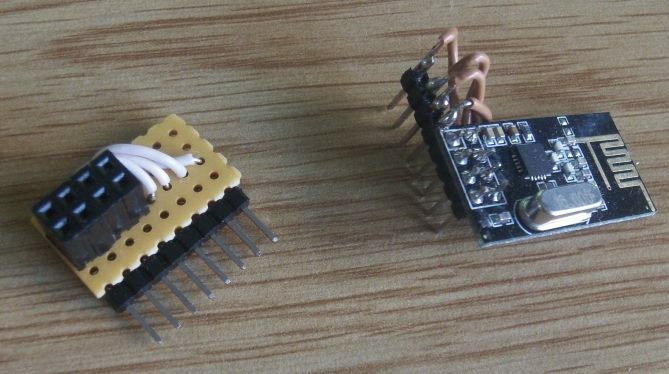 The one on the right was my first attempt which consisted of replacing the connector, whereas the one on the left is neater and doesn’t require the nRF24L01 board to be modified. 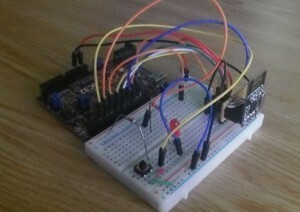 Both can be plugged into the breadboard though. It’s easier to experiment with, using the serial library we can send messages to and from a PC or MAC. We can sit in receive mode indefinitely making range tests and debugging easier. 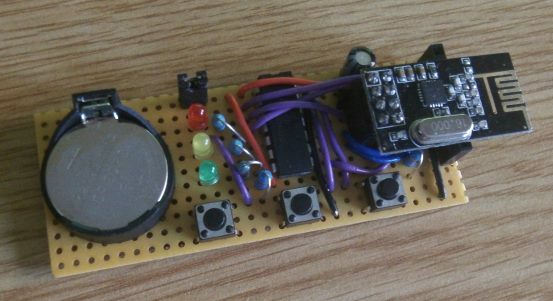 You can find the circuit diagram and code for these boards in the main article. hi. I wanna make to boat with remote control by using nRF24L01. 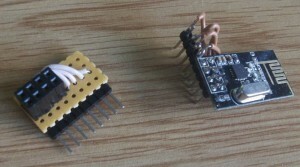 I wanna use to nRF24L01 module in transmitter and reciever. I have information about RF tranmistter and reciever but dont have nRF24L01. I will made transmitter and reciever with nRF24L01 by using PIC16f877A. I wander that how must be connection with nRF24L01 and PIC16f877A. that is, what is connection structure between its. Program Language that I will use is PIC BASIC PRO. Only I want to learn that Basicly I want to send any sort data from transmitter to recieve. I need to circuit diagraman and basic program for data commication. If I would have these infromation I can make boat with remote contol. thank you for you care in advance. 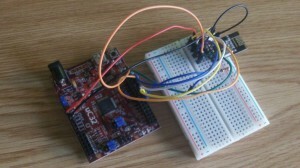 Was the best example of functioning of nRF24L01, which I found on the internet. The functions are very simple to interpret (simple). I am now using these functions in my project. I want to be a part of your group of friends. Text translated from English (Brazil).